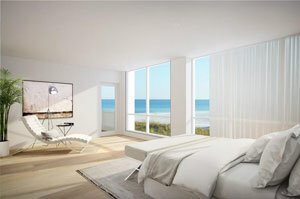 Halcyon is a direct beachfront development tucked on the edge of a cozy private lane on 6100 Midnight Pass Road near the northern part of the eight-mile long Siesta Key. The development of this condominium, a mid-rise with four stories, began in early 2018 and was touted as the island’s first direct beachfront home construction in many years. The architectural style of Halcyon is a striking contemporary design in the mold of the Sarasota School of Architecture highly acclaimed for its melding a structure with its natural environment. This condominium’s design is a rendition of the homegrown architectural firm Parker Walter Group. Halcyon is a project of a Chilean development company owned by the Krauss family who has made Siesta Key their second home. This family-owned concern has built over 20 luxury residential neighborhoods in Chile. Halcyon comes as an epitome of luxury and exclusivity, with the footprint of its four-story building housing just six condo units, three of which were sold pre-construction. Buyers taking early notice of Halcyon condos for sale owes much not only to their superb design but also to their wondrous coastal setting. 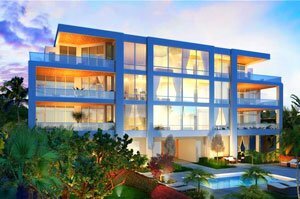 The condominium’s units are just steps away from the pristine white Siesta Key Beach consistently acclaimed worldwide for its natural beauty and topnotch amenities which have been upgraded extensively. This beach is a well-managed public park with tennis courts, picnic areas, a historic pavilion, a new pedestrian esplanade, and a concessionaires’ building amongst other facilities. 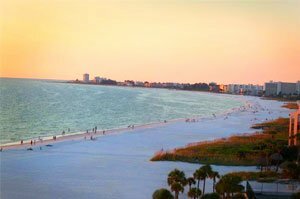 Southwards, the coastal attractions of Siesta Key extends to the more secluded Crescent Beach and its Points of Rocks popular for fishing and snorkeling. Farther south of the island’s coast lies Turtle Beach which also features park facilities including a boat launch providing access to more water-based activities. At Halcyon itself, the hallmarks of an island lifestyle are as evident and amenities as bountiful. The condominium features a beachside pool, fire pit, and a private clubhouse fashioned from a vintage 1930s beach bungalow original to the property. The clubhouse not only serves as a social area for condo residents but also provides a game room as well as a private fitness room. Moreover, a full-time property attendant enables a lock-and-leave feature for Halcyon condos for sale. There is much to say about Halcyon’s residential units for sure. These condos are designed with living areas of up to 3,900 square feet featuring four bedrooms, four baths and a half bath. Halcyon condos for sale further whet buying interest with their smart-home gadgetry, sleek kitchens with high-end appliances, oversized terraces and private elevators. A two-car garage comes with each Halcyon residence as well. All these trappings of luxury brought Halcyon to the ranks of top-priced Siesta Key condos for sale at its starting price of $3.9 million for one of the condominium’s residences. The Midnight Pass Road location of this condominium surely contributes much to this luxury market positioning and provides a great potential for future value appreciation. Halcyon’s site is convenient not only to the various points of interest in Siesta Key. The myriads attractions in the mainland are also within easy reach via Stickney Point Road which is less than a mile south of the condominium. A short trip along this road corridor opens access to the life and leisure centers of Sarasota that likewise helped bring perennial buying interest on Siesta Key condos for sale. Below are the current real estate listings available at Halcyon.